In early 2016, it was time to renew my annual contract with the electric company. We have deregulation in Texas, so while everyone gets power from Oncor, we can pick which company sends us the bill each month. Strange I know, but for the past few years I've been skipping from one name to the next to always get the best deal I can. So far, it's worked out without a hitch. If there is a power problem, you call to report it to Oncor, and they fix it. The billing company just bills you for what you use, and doesn't provide any other service. This is a nice page I bookmarked about a year ago. Calculate the cost to run an aquarium. Just fill out the form, and it will give you an idea of what it costs to run all this equipment. I documented my 280g 14-day Upgrade Project. It is a 5.6meg webpage, so dial-up will probably not be able to download this page (browser error for sure) with all 111 images. 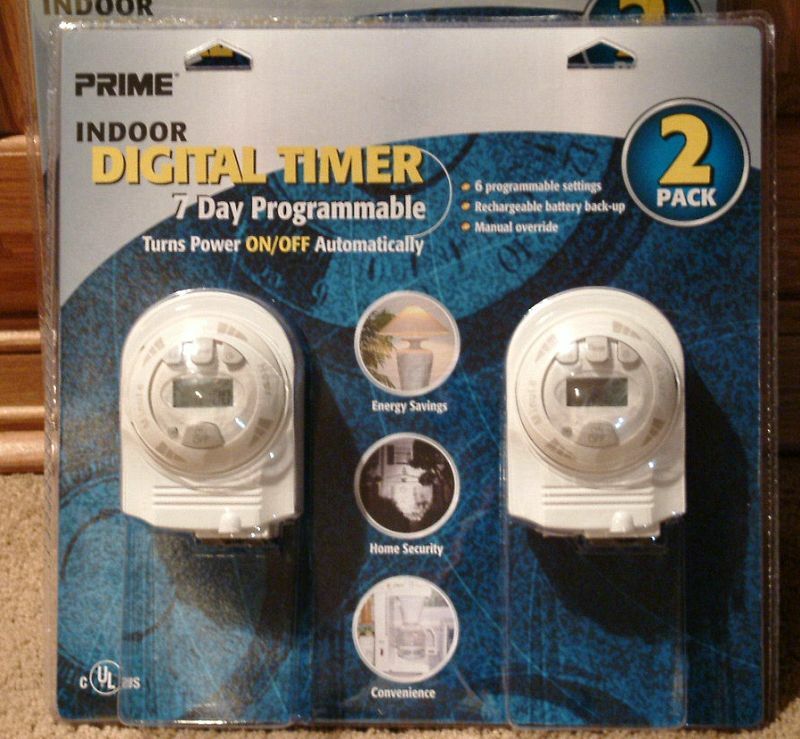 I came across a good deal on digital grounded timers to Costco yesterday. Unlike mechanical timers, these have a rechargeable battery backup to keep the timer on schedule. Two for $10 is really amazing, with 3-hole recepticals. By feeding a small amount of shrimp to the BTA every other day, it has improved in appearance by inflating itself further.